Considered San Diego’s first gay bar, The Rail originally opened for business in the 1930’s in Downtown’s historic Orpheum Theatre building. It quickly became a popular lunch spot for business professionals, heating up in the evenings as a top meeting spot. Back then, law enforcement was known to have entered with flashlights demanding “All hands above the bar!” to keep men from holding hands. Since relocating to Hillcrest in the early 1960’s, customers continue to be drawn in by our inviting surroundings and lounge-style atmosphere, as we continue to thrive as a landmark destination. Our furnishings are modern, yet reminiscent of our rich history as a post-Prohibition-era establishment with details of brick, wood, corrugated wall treatments, inviting indoor/outdoor patio areas and uniquely designed private venue spaces. More than a night club hotspot, The Rail serves up modern versions of artisanal cocktails, craft beer and a brunch and lunch menu, functioning both as a nightlife hotspot and daytime social experience. A tasty variety of classic treats are served daily, inviting you to eat, drink and play to your heart’s content. The Rail is proud of its heritage as a family owned and operated business for over 55 years, contributing to our time-tested legacy of success and dedication to the community. 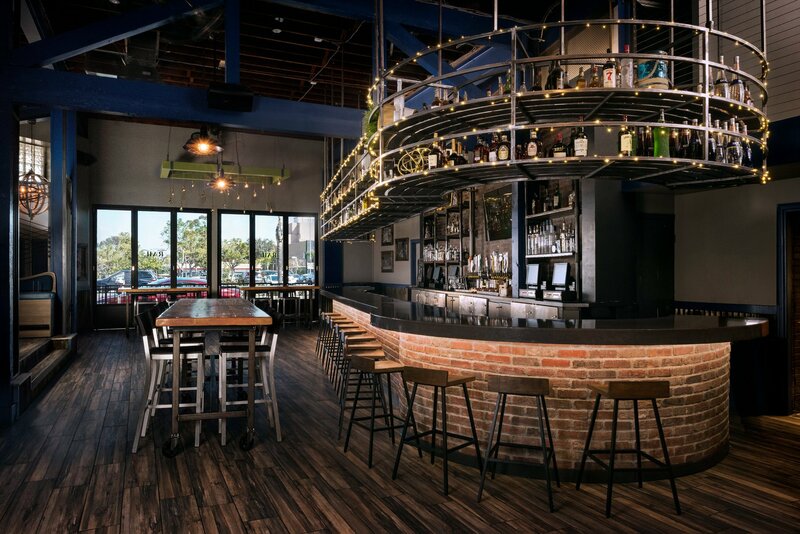 We look forward to serving you on the corner of 5th and Robinson in the vibrant community of Hillcrest, where you will enjoy food, fun and spirits along with some of San Diego’s best talent in DJs, artists and dancers. Come hang with us at The Rail!